There will be a presentation on Radiance Cohousing at the April 24 meeting of the Permaculture Research Institute of Saskatchewan at the Saskatoon Food Bank & Learning Centre. Potluck is at 6:30 with AGM and presentation beginning at 7:30. 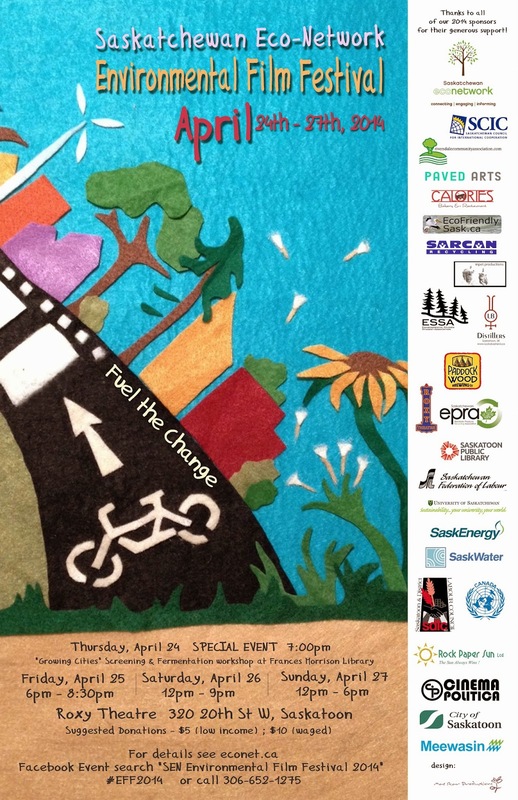 Check out the great line-up of films for the 2014 Saskatoon Environmental Film Festival: transition towns, cycling, mining, e-waste, and solar energy. 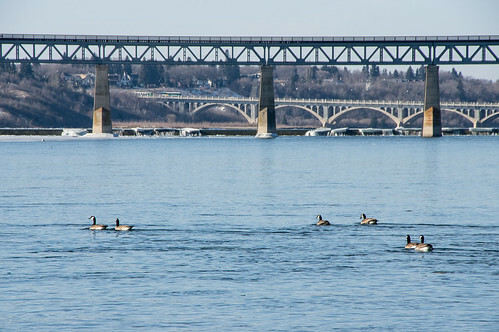 The Saskatoon Young Naturalists have been monitoring bluebird populations around Saskatoon since 1968. Contact Greg Fenty if you would like to help. Encourage Saskatoon City Council to follow the City of Toronto’s guidelines for greening surface parking lots (e.g. landscaping and trees, storm water management on site). A city-wide composting program may soon be introduced. In the meantime, be sure to sign up for the Green Cart program. Fracking may have caused earthquakes in Ohio – what can we expect in Saskatchewan?